Zero | Larval Subjects . Passages from Sartre’s Being and Nothingness always reverberate through my mind: “Consciousness is what is not and is not what it is”. “Consciousness is a being such that in its being its being is in question insofar as its being always implies a being other than itself”. I remember the happy days reading this tom(e)(b) when I was young; diagraming these sentences, trying to decipher them like Zen koans. I remember later reading Frege’s Foundations of Arithmetic. “Zero is the number non-identical to itself”. How many zeroes are there? Many! But that can’t be right. By Leibniz’s principle of indiscernibles, two things must always be distinguished by something. Yet zero is nothing. There can only be one zero. All zeroes must be the same. But if there were one zero, then zero would be something. A paradox. No wonder zero was received as a heresy in the theological community; like potatoes. No, it can only be that which is paradoxically non-identical to itself. It must be the object that is a non-object. An object that is the shift or out of phaseness of a being with itself. And that’s how it is with consciousness. Consciousness is zero. It is that which is non-identical to itself and that is condemned to be non-identical to itself. I wonder if this is how it is for my dog and my cats and for octopi? Is it like this for elephants? Do they experience themselves as a non-identity with themselves? Consciousness is a razors edge, a perpetual shift. Consciousness is not a substantiality, the ego, or an identity. It is the non-identity that is in excess of any mirror image, ego, or identity. It is the perpetual failure of these things. J.A. Miller. Suture. Matrix. This is the burden of the past. The past weighs on us because of what we have done, who we have been. It’s etched. But there would be a comfort in being able to be our past like the grape that has grown from its soil. No, perhaps the worst thing about the past is that we are zero or the number that is non-identical to itself. Difference. We always fail to be our past. I will never be as great as I was in my past, nor as terrible. I will never be that person that wrote those things, said those things, thought those things, did those things. That was another self. I will always be fallen from that past, and each time yet again. Will I ever write as well again? 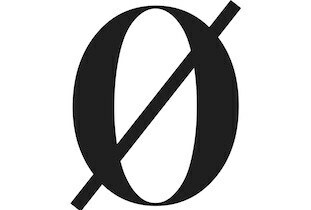 I am this strange zero that both is this past, but is not it. We can eat our madeleine cakes, yet we will not regain the past. We are that past, yet are not it. It weighs on us, instituting a gravitational pull. We are caught in our signifiers, in what we have said. Yet we somehow can’t be them. We are a shift, a perpetual disadequation, a being non-identical to ourselves.